Getting a good night’s sleep is beneficial for all dogs, but it’s particularly important to the overall health and growth of young puppies. However, making sure that excitable, curious pups get enough undisturbed sleep can be difficult, especially if there’s more than one puppy in the vicinity! 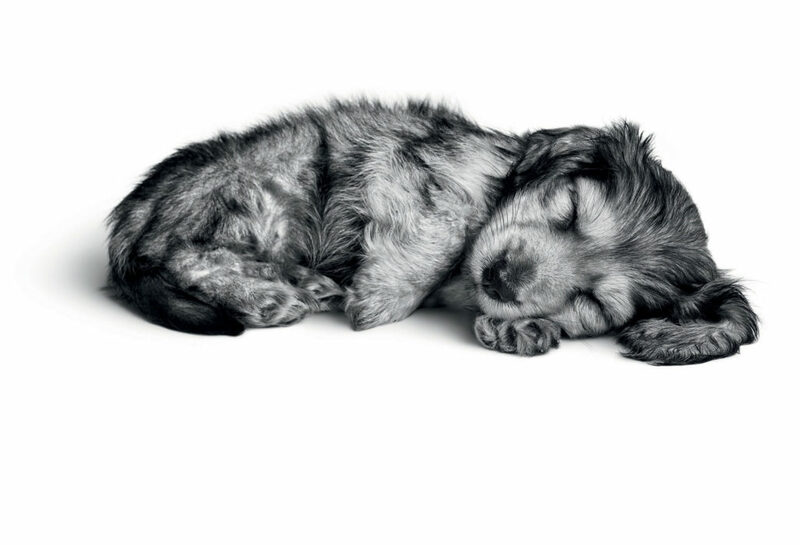 That’s why we’ve compiled a list of the most useful puppy sleeping tips to ensure there is every chance they’ll sleep soundly throughout the night. All of these tips on how to improve your puppy’s quality of sleep are simple and easy to carry out, and hopefully they’ll help you form an even stronger bond with your puppy (or puppies). Puppies first begin to adjust to the night and day sleeping routine of their owners at 8+ weeks old. Once your puppy is 12 weeks old, they will often have the capacity to sleep through the night – given the right circumstances. Despite this, the age of twelve weeks is typically when puppies go from their breeder to their new home and, with this transition and upheaval, it might not be possible to start teaching the pup to sleep through the night until they have settled into your home and their living space sufficiently. Once your puppy has settled down, it’s important to make sure they get enough exercise so that they’re tired by the evening. 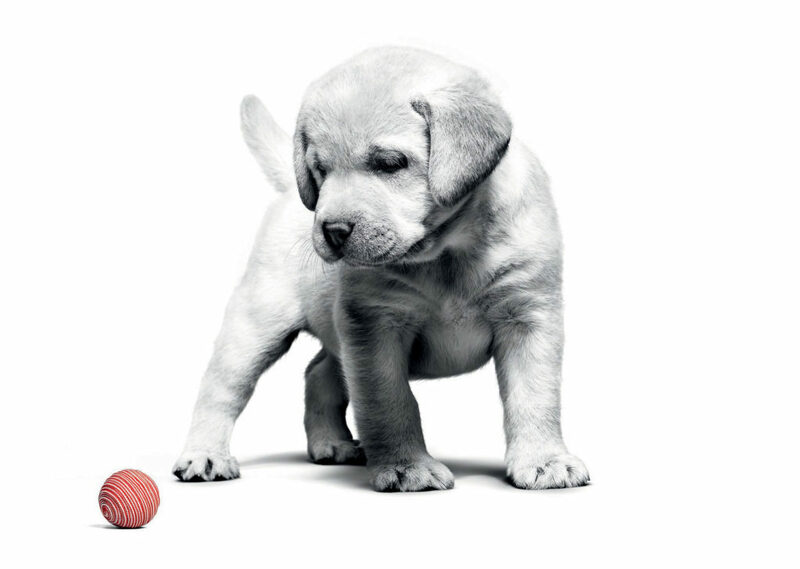 You can do this by stimulating your puppy’s mind and body with age-appropriate activities and games during the day. This will allow you to help expend your puppy’s energy, whilst also helping you both to bond simultaneously. As your puppy grows up, he will need more exercise and training. You can read more about our training tips here. Try to avoid playful or exciting activities with your puppy within the last hour or so before bedtime, as an excited puppy will be much more difficult to settle down. Instead, pet them gently and keep their surroundings as quiet as possible with dimmed lights to help let them know it’s time to settle down. Many dogs enjoy routines, so once lights are turned off and they’re placed in a certain location close to their sleeping time, they should slowly adjust to a sleeping routine. Make sure you take your puppy outside to go to the toilet shortly before bedtime. Otherwise, they may be disturbed in their sleep by the need to relieve themselves. If they’ve been to the toilet before bedtime, they’re much more likely to sleep longer. Also, be sure to monitor them while they’re outside to make sure they do go to the toilet before coming back indoors. Puppies can sometimes be distracted by the sights and sounds of the outdoors and forget to do their business before being called back indoors. Many puppies enjoy soft blankets to curl up in at night, while others prefer a cooler surface. However, the temperature of your home and the weather season will often dictate how you should keep their bedding area. Carefully consider the temperature and time of year when choosing the bedding that will be most comfortable for your puppy. If it’s particularly warm, place a fan on a light setting in the room and don’t cover the puppy with a blanket. Vice versa, increase the room’s temperature with your thermostat or place a guarded heater in the room whilst keeping your puppy covered in a comfy blanket. Puppies often find chewing to be a calming, relaxing activity – particularly when they’re teething. For example, you can give your dogs an edible chew or a toy to nibble on before bedtime. Try to avoid toys with squeakers as they can provide unwanted stimuli and excitement before bedtime for both you and the puppy! Having a toy or treat in the crate will also help to keep your puppy quietly entertained if they wake up before you do. Approximately two to three hours before your puppy is scheduled to go to sleep, provide them with their last meal and drink of the day. This will allow them plenty of time to digest properly and then go to the toilet if they need to. Any closer to bedtime than two to three hours, and they’re likely to need the toilet during the night, which will wake them up. Routine is essential for a good sleeping routine, and food will always underpin a healthy staple of a dog’s sleeping routine and lifestyle routine. Find out more about puppies and the importance of good nutrition by exploring our dog-focused articles.